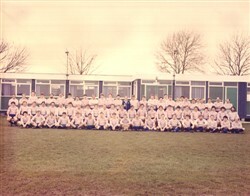 Olney Rugby Union Football Club, 1977. 100 year team line-up photograph. No player names listed.